The 2018 Atlantic Golf Championships got underway today at the Glen Arbour Golf Club. Competitors from across Atlantic Canada were treated to near perfect weather conditions. The fog lifted just as the round got underway this morning. 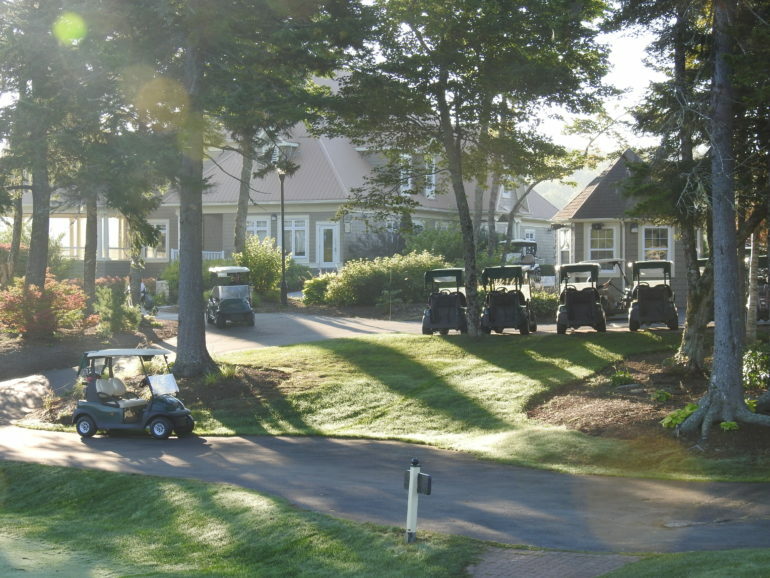 Originally contested at the Bell Bay Golf Club in 2014, this years’ championship marked the fifth year of the Atlantic Golf Championships where teams from New Brunswick, Prince Edward Island, Nova Scotia and Newfoundland & Labrador compete for both the “Atlantic Cup”, and individual competitions. 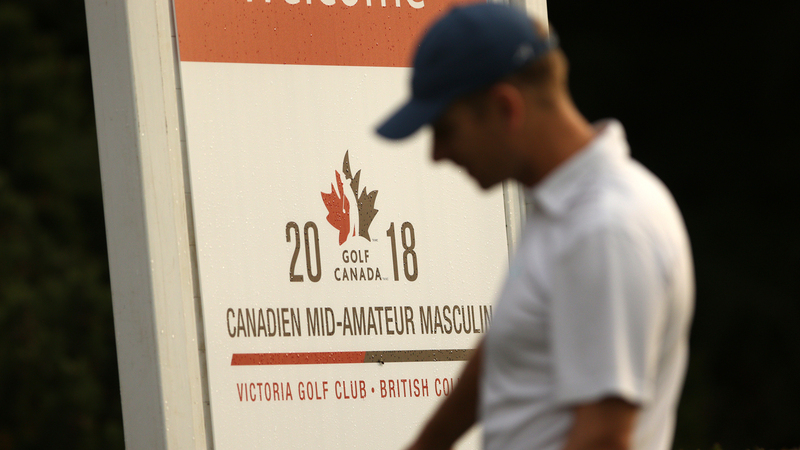 Players are competing for eight (8) exemptions for 2019 Canadian Championships. Exemptions include men’s and women’s Canadian Amateur, Mid-Master, Senior and Super Senior. The shot of the day went to Adam Gallant from Summerside, PE after he aced the 167 yard par 3 second hole. 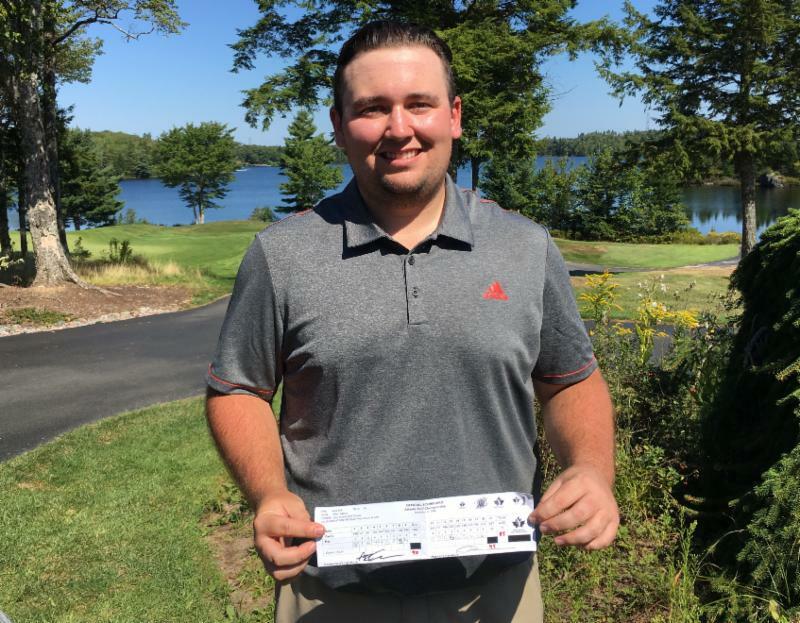 Gallant used an 8 iron to card his hole-in-one with playing partners Jamie MacVicar (NS) and Jamie Melanson (NB). After the first round, New Brunswick leads the team competition with a cumulative team total of 20 points. In second place in the team competition is Prince Edward Island with a total of 17 points. Nova Scotia is currently in third place with 13 points and Newfoundland & Labrador are in fourth position with 4 points. Bathurst native, Molly MacDermaid is leading the women’s amateur competition after recording a four over par 76. The 22 year old member of Bathurst, NB has a five stroke lead over Taylor Cormier from Corner Brook, NL who fired an 81. Michael Furlong from the Bally Haly Golf Club in St. John’s, NL fired a two under par 70 during today’s first round. The 32 year old carded 6-birdies and 4-bogeys. Sitting in second place in the amateur men’scompetition is Brodie Ward (PE). The Andersons Creek member fired a four-over par 76. Darren MacPherson from Edmundston, NB carded a two-under par 70 today and has a two stroke lead in the men’s mid master division over Stu Musgrave (NB), Glenn Robinson (NS) and Ed Reevey (NB). All three carded a even par 72 today. Allison Chisholm from The Riverside Country Club in Rothesay, NB is leading the women’s mid-mastercompetition after carding a two-over par 74. Melissa Castle from the Belvedere Golf Club in Charlottetown finished today with an 81 and is seven strokes behind Chisholm. There is a two-way tie for first in the men’s seniordivision between Eddie Bearns (NL) and Ernie Sheaves (NS). They fired two-over par 74 and are two strokes ahead Gary Melanson (NB). Ashburn member, Peter Stirling is leading the super senior division after a carding a 76 (+4) today. 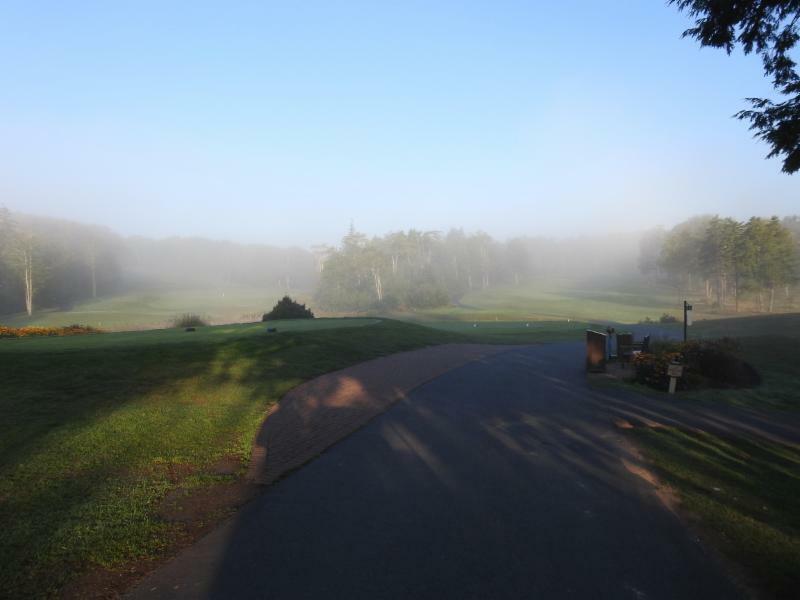 Sherry White from the Belvedere Golf Club in Charlottetown is tied for first in the senior women’sdivision with Myrna Millar from the Mill River Golf Club. Millar is also leading the women’s super senior division. The two islanders finished today with an eight-over par 80. Saint John, NB native Pam Cossey from the Rockwood Park Golf Club is in second place and one stroke behind the leaders. For more information on the 2018 Atlantic Championship, please CLICK HERE.